Schedule based on and around a full moon spring tide. Itineraries can be tailored for private group charters. Your incredible Kimberley journey starts with a scenic flight transfer Broome to Dampier Peninsula to board the Kimberley Pearl. From here cruise through the Gagg Islands, Cone Bay and into Yampi Sound to enjoy the sunset and a delightful dinner cooked by your on-board chef on your first evening on board the Kimberley Pearl. It’s an early start as we set off for Talbot Bay. 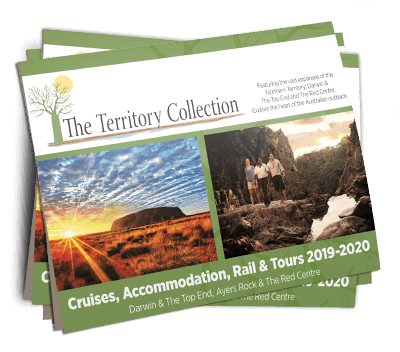 Experience the Horizontal Falls and spend the afternoon wildlife spotting or some blue water fishing whilst exploring the creeks of Talbot Bay. Bask in the serenity of the bay with a drink in hand as the sunsets on your second evening. Departing on the outgoing tide we cruise through the Kingfisher Islands to Montgomery Reef. Relish in the isolation of the magnificent Montgomery Islands as we cruise over the top of the tide watching the reef as the tide ebbs away and exposes itself. Truly incredible natural viewing! Continue cruising up the coast to anchor overnight on one of the many sheltered bays this strip has to offer on your third evening. Enjoy some early morning beach combing for a bit of a stretch & oyster hunt or perhaps a spot of fishing if preferred, before cruising through Kuri Bay and Camden Harbour and cruising up to Port George or Hanover Bay. Enjoy your fourth evening ashore a secluded beach with a bonfire! A spot of morning Barra fishing to then catch the incoming tide to cruise into the St George Basin, enjoying a scenic ride up the Prince Regent River and the opportunity to do some walking and swimming in fresh water pools. Enjoy your freshly caught Barra cooked on the 6 Burner BBQ by your on-board chef for your fifth evening. Spend the day exploring the upper reaches of the river, perhaps climb up Kings Cascade Waterfall into the back waters of Cascade Creek or try your hand at catching some mud crabs in one of the tributaries of the Prince Regent River. End the day relaxing with a drink in hand and enjoying those mud crabs on your sixth evening in Prince Regent River. It’s an early departure as we catch the outgoing tide out of the basin towards Camden Sound, a beautiful marine park where humpback whales are often spotted nurturing their calves during migration season. Relax and enjoy the sights or a good book as we continue to cruise south towards Doubtful Bay and anchor in a secluded bay for your seventh evening. With your choice of River and creek systems in this area to explore, low tide is perfect for fishing for Barra, then climb Raft Point to view the Numburi Art shelter. Enjoy your eighth night anchored in this beautiful bay surrounded by the incredible Kimberley coastline. Enjoy the morning for some more exploring and a fresh water swim before catching the outgoing tide to depart the beautiful Doubtful Bay and cruise to Raft Point. Jump ashore for a walk to view the Numburi Art Shelter and enjoy your ninth evening around a bonfire on Silicia Beach. It’s early start as we start the cruise back to the Dampier Peninsula through Yampi Sound. Jump on a tender to explore the Buccaneer Archipelago, a cluster of four islands found here, or spend your afternoon catching dinner for your last evening on board the Kimberley Pearl. Continue cruising towards Cone Bay and savour the final Kimberley sunset and dinner delights served by your on-board chef. Cruise back to passenger drop off point to disembark the Kimberley Pearl and catch your connecting scenic flight transfer back to Broome. Times will be dependent on tides, Kimberley Pearl Charters would recommend evening flight departures from Broome if wishing to return same day of disembarkation, to allow for any delays.